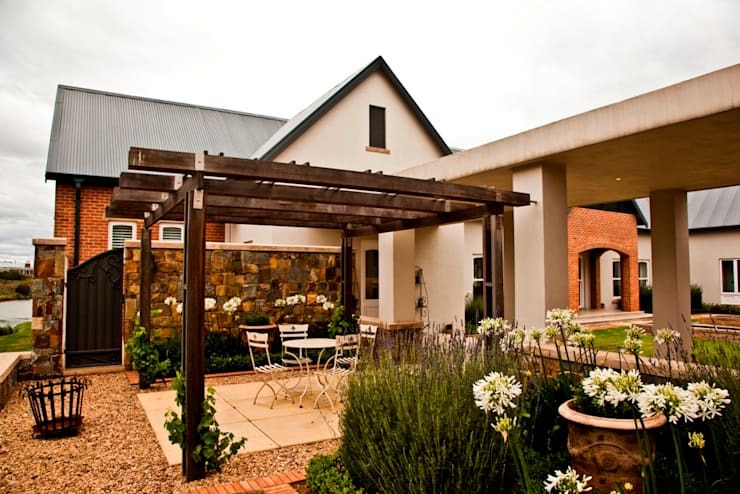 At homify, we love exploring South African homes! 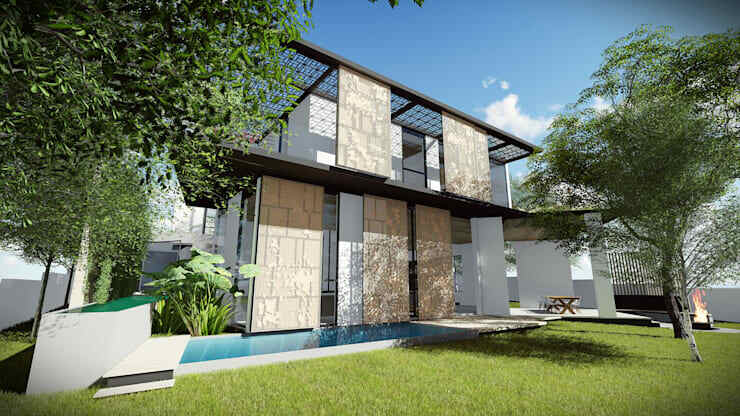 For starters, we have wonderful weather on our side, which means that architecture and design can really work in harmony with the beautiful surrounds and the fabulous temperature. Secondly, we have some of the top design professionals in the world, who manage to combine creativity and innovation with comfort and functionality. 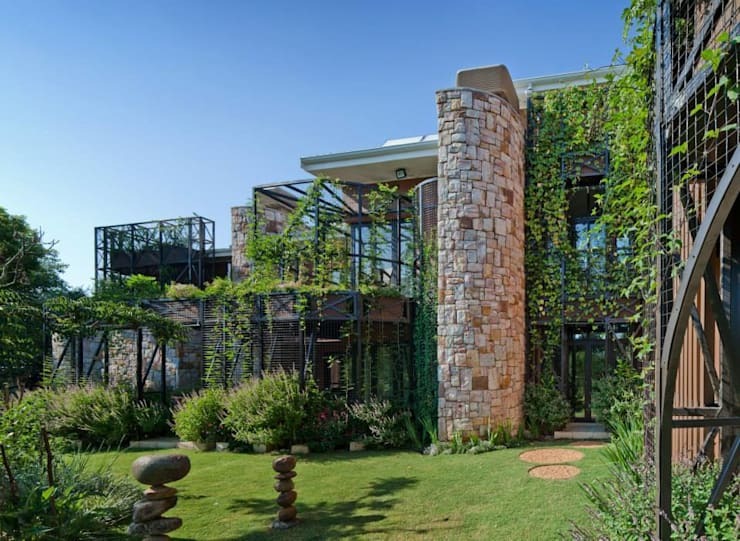 This is why today, we have put together five pictures of sensational South African homes that we hope will blow you away! These are all top examples of just how much potential exists in the local industry as well as how any one of us can achieve our dream home in our very own neighbourhood. 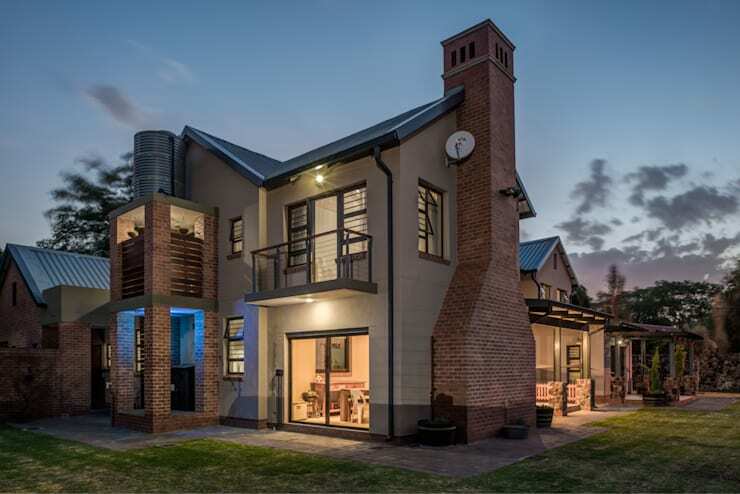 This home, by Urban Concept Architects is a wonderful example of how modern and contemporary architecture is truly making its mark in South Africa. 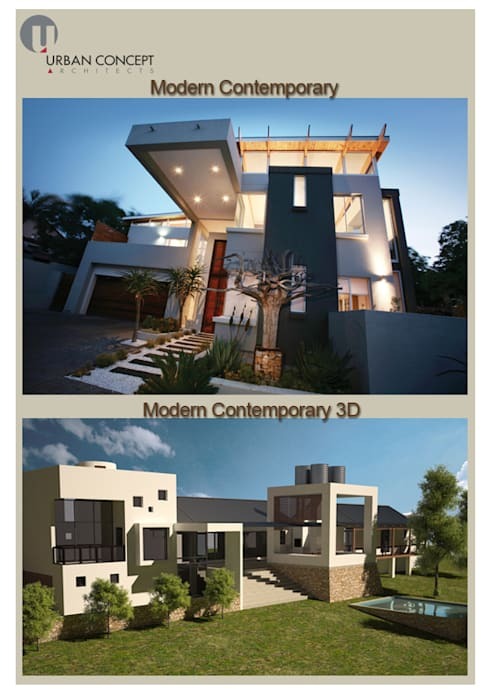 These Pretoria-based architects have designed the house with an eye for both functionality and top-quality design. Don't you love how the dark grey facade works in harmony with the large glass windows and doors? The home spills out onto beautiful outdoor spaces that allow the family to interact with the greenery that surrounds their home. Two Five Five Architects have designed this very stylish home, which features a rather innovative facade, providing this home with natural light and shade—simultaneously! The original structure of the home is enhanced by panels, which protrude outwards, giving depth and texture to the look and feel of the home. They also offer the interiors some privacy and some shade, without disturbing the natural light that flows through the windows. A swimming pool has been built in the garden of this home, giving the family access to the outdoors in a very multi-functional way! This impressive home works completely in harmony with nature, thanks to Environment Response Architecture. The designers have opted for a very transparent facade, which is covered in ivy. A large stone column forms the centre of the design, bringing a rustic and earthy touch to the exterior space. This home almost looks like a castle, nestled in the trees! The structure of the home is further enhanced by the beautiful garden, which feature all sorts of design elements that make this home even more magical than it already is. Here we come across a more traditional suburban home, designed by Olivehill Architects. This double-storey home is the perfect family house with more than enough room for every member to have their own space! Again we can see how South African designers enjoy a communication with the exteriors, with even the more private rooms of this house opening up onto balconies. The smooth cream walls also contrast beautifully with the stone chimney, creating a striking design that is subtle and homely. Again, we can see how the garden plays a fundamental role in the overall look and feel of a home. Lastly, we come across this classic country-style design by Walker Smith Architects. This home is a wonderful example of how timeless a classic design like this can be as well as how it can suit just about any neighbourhood! Don't you love the stylish wooden pergola, which adds a very unique dynamic to the outdoor space? It works in perfect harmony with the beautiful rose bushes and delicate, outdoor furniture outside. If you've enjoyed exploring these South African homes, you'll love these: 9 South African living rooms to get inspired by! Which South African home is your favourite?